It’s the 12th year for the High Tide Festival in Aldeburgh. Referred to as the theatre world’s Sundance Film Festival, it brings a wealth of innovative and challenging work to the town including productions direct from the Edinburgh Festival Fringe. Tallulah Brown has written the headline production Songlines which is set just up the coast in Reydon. The ‘Festival Hub’ is just over the road from us this year at the Garage Gallery and the East Coast Café. From there you can buy/collect tickets, find out more information and buy Festival cocktails! Look out for us on the back of your High Tide tickets where you can get 10% off our new season stock. For more information about the High Tide Festival click here. The 4th Aldeburgh Fun Relay Triathlon takes place on Sunday 16 September. This event has become so popular with over 100 teams taking place and it’s a great event for spectators too. The swim starts at 12pm by the shell sculpture on the beach and they will swim down to the Moot Hall. From here the cyclists take on two laps of Aldeburgh-Thorpeness-Aldringham-Aldeburgh and then it’s over to the runners to finish with a 5km run to Thorpeness and back. We’re entering two O&C Butcher teams this year – it’s the first time we’ve entered so we’re looking forward to taking part (some of us will be focussing on the ‘fun’ aspect of the event!). 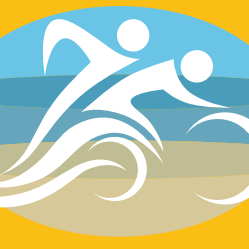 For more information about the Aldeburgh Fun Relay Triathlon please click here.